Two of our previous posts on collaboration, True Collaboration Drives Profitability and Collaboration: The Next Law Firm Frontier, discussed the benefits of collaborative cultures and approaches to client representation. But both articles also alluded to the reasons why collaboration is difficult for lawyers and law firms to embrace and operationalize. Morgan Lewis & Bockius is a leading, global law firm that embodies a collaborative culture but is also working to further institutionalize collaboration. While many large firms tout the benefits of one-stop shopping and having lawyers positioned in key markets throughout the country or world, Morgan Lewis is a firm that values the “one-firm firm” concept and has built a culture and set of policies that actually encourage and support collaboration. What Factors Make Morgan Lewis Collaborative? Leaders Who Know Their Partners and Put the Firm First. The firm is led by Chair Jami McKeon and her three deputies, Steve Browne, David Pollak and Steve Wall. What is highly unusual is that these individuals actually know every partner in the firm and quite a bit about every partner without looking it up on the intranet: his/her practice, areas of specialty, strengths and weaknesses, largest clients, how long they’ve been with the firm, where they were before. These leaders were elected in large part because they are unselfishly and unabashedly proud of their firm and their partners and are committed to the firm’s success above all else. Lateral Recruiting. Partners recruited to the firm are carefully considered not just for their expertise and “books of business” but also for their “fit” with the Morgan Lewis culture. The firm does not respect partners who look out only for themselves. While per partner profits are very healthy, PPP is not what drives partners to come to the firm or to stay at the firm. Partner Integration. When Morgan Lewis hired more than 200 partners from Bingham McCutchen, and again when it acquired groups of lawyers in Singapore and most recently in China, the management team tasked several Morgan Lewis partners with the role of integration partner/committee. Those partners took their jobs seriously. In one case, a partner who was assigned to help integrate the Boston office into the MLB fold ended up with such good relationships and had such success she moved herself there a year later. The firm expects these tasked integrators to frequently go to the new offices where new partners reside and spend significant time listening, advising and trouble-shooting. My Client vs. Firm Client. Morgan Lewis takes Heidi Gardner’s advice to heart – she found that clients are more loyal and generate far more revenue for firms in which multiple partners have a relationship role and multiple practices serve those clients. 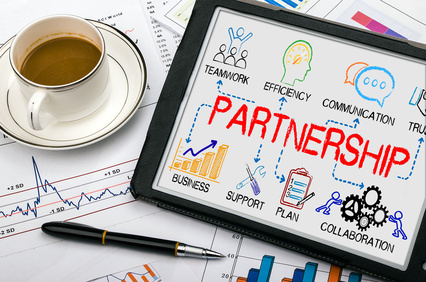 While Morgan Lewis does recognize partners who originate new business with the Responsible Attorney and Attorney in Charge designations, the leadership also knows when partners are hoarding that credit and strongly encourage better allocation and sharing. Compensation and Credit. Many firms now ask their partners to write an annual “I Love Me” memo for the compensation committee. This memo usually asks a number of questions about partners’ accomplishments over the past year: new clients, new matters, professional advancement, mentoring. These qualitative summaries accompany the quantitative data. At Morgan Lewis, the I Love Me memo is not about “me.” It is almost exclusively about others – who helped you, what partners did outstanding client work and shared referrals with others, who best exemplified the culture and firm values. Even the quantitative data has a column that measures work and associated dollars sent to partners outside your practice group. Business Development Training and Coaching. A lot of business development coaching is done strictly for individual partners to help each partner build his/her practice and capitalize on contacts and opportunities. Morgan Lewis has embraced a program that combines one-on-one coaching with team coaching, where groups of partners come together in-person throughout the coaching engagement to build camaraderie, share best practices and challenges, and build business together. Client Alliance Teams and Industry Initiatives. While not unique to Morgan Lewis, the firm has a number of client teams focused on how to better understand and best serve clients, and industry teams and events that really display deep knowledge of a select group of industries in which the firm is prominent. Again, members of these teams actively communicate about and cooperate in ways to add value to clients and each other. Sharing Stories and Successes of Collaboration. Whenever groups of lawyers gather, the leadership team continually regales specific examples in story after story about how client and prospect inquiries often have resulted in new business. Partners are quick to respond to each other when new opportunities arise and to tout the expertise of their colleagues to clients. The firm most recently rolled out an Exceptional Client Service initiative aimed at not only external clients as one would imagine, but also aimed at providing exceptional client service internally – to colleagues and fellow MLB employees. As part of that effort, the firm created an online recognition system to encourage all employees to recognize others for collaborative and helpful behaviors. Does it mean that no one ever leaves Morgan Lewis? Of course not. Does this mean that the firm has never had a partner who doesn’t play nicely in the sandbox or who has sharp elbows when it comes to “credit?” Probably not. But this is a firm that tries to address those issues and to hold partners accountable for their contribution to or detraction from the collaborative culture. It continues to look at best practices of other organizations that do this better and to innovate and incorporate as much of that into the way it manages, measures and rewards collaboration. All in all, Morgan Lewis is a firm where most partners actually like each other, are happy to cross-sell each other and feel part and proud of something bigger than themselves.